maxwell's current mood: THE BATMAN. it's safe to say max has a thing for the batman. and not just batman, but the batman. he only wants to watch all things the batman. that means the old series, the batman lego cartoon, and the newish stuff (that we had to cut him off from... way too violent for this impressionable kid). he has claimed my only adult toy, a stuffed batman ugly doll that my uncle rick bought me one comic con years ago, and also asks that i draw the batman repeatedly for him. not terrible right? and with the practice i'm getting? shoot. just you wait. fun fact, i've always wanted to study line drawing. 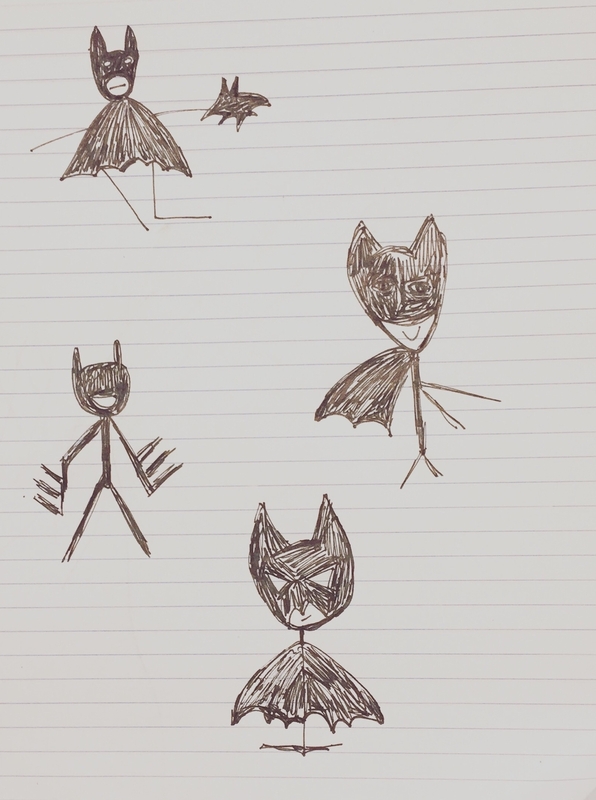 so perhaps stick figure batman is my gateway. here's hoping. and while this is just the phase happening now, and i know it can end any day at the drop of a hat (last month it was light sabers and really that one will always be there if he's anything like his daddy), it's been his coolest obsession yet. he likes to pretend he is a bat by opening his cardigan or hoodie and staring at his shadow, that now has WINGS! like a bat, or the batman. it is seriously so fun to watch. he climbs on things and jumps using his manipulated knitwear to FLY, even just for a millisecond. the other day max found something even more satisfying than his own shadow, his own reflection. 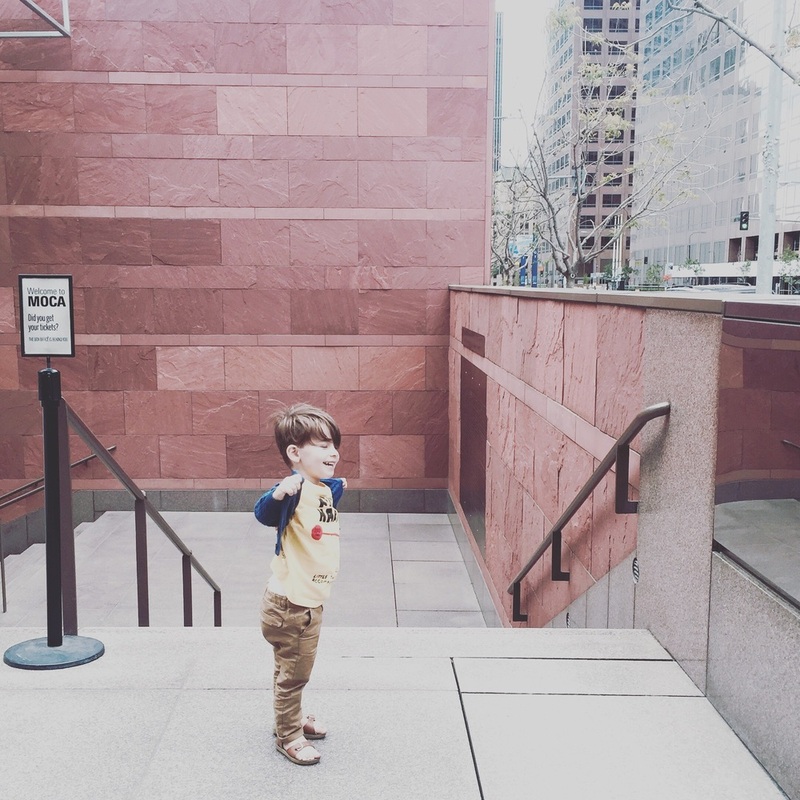 he wasted no time spreading his wings and watched as he mimicked his favorite super hero. so i had to humor him, right? i said to my little batman, "hey max, are you the batman?" to which he said, "NO! NO MAMA. I AM NOT THE BATMAN. I AM THE MAXMAN!" so as you can see, my maxman is pretty happy with himself. and i could not be more proud. now let's see what he does once summer finally shows up and sweater weather is on hiatus.